Successfully Added T12 Bluetooth Speaker with Color LED - Handsfree, Micro SD Card Support, FM Radio, Bluetooth 2.1 +EDR (Black) to your Shopping Cart. The T12 Bluetooth Speaker can not only stream your favourite music and let you handle calls handsfree, but will also create a tailor-made light show just for you, thanks to its built-in color LEDs. If you are looking for a gadget that can do a bit more than just stream your music in quality, the T12 Bluetooth speaker may be just what you’ve been searching for. With an interesting design, multicolor LED lights and coming in posh black color, the T12 is a great match for your home or office. Featuring Bluetooth 2.1 with Enhanced Data Rate, it will smoothly stream your audio content from a smartphone, tablet or any other Bluetooth-enabled device. With the support of a 32GB micro SD card, you will also have the option of storing your files right on the speaker itself. If you are looking for a different type of entertainment, you can listen to FM radio on the T12 as well. If you are busy working or are dealing with some housework, you can also use the Bluetooth speaker to talk on the phone handsfree. With a convenient set of controls on top, you will easily manage all the speaker’s main functions with just a touch of a button. Thanks to the speakers built-in color LEDs, you can always create just the right type of atmosphere when listening to your favourite tracks or relax before bed with a warm dimmed light. The T12 Bluetooth Speaker comes with a 12 months warranty. 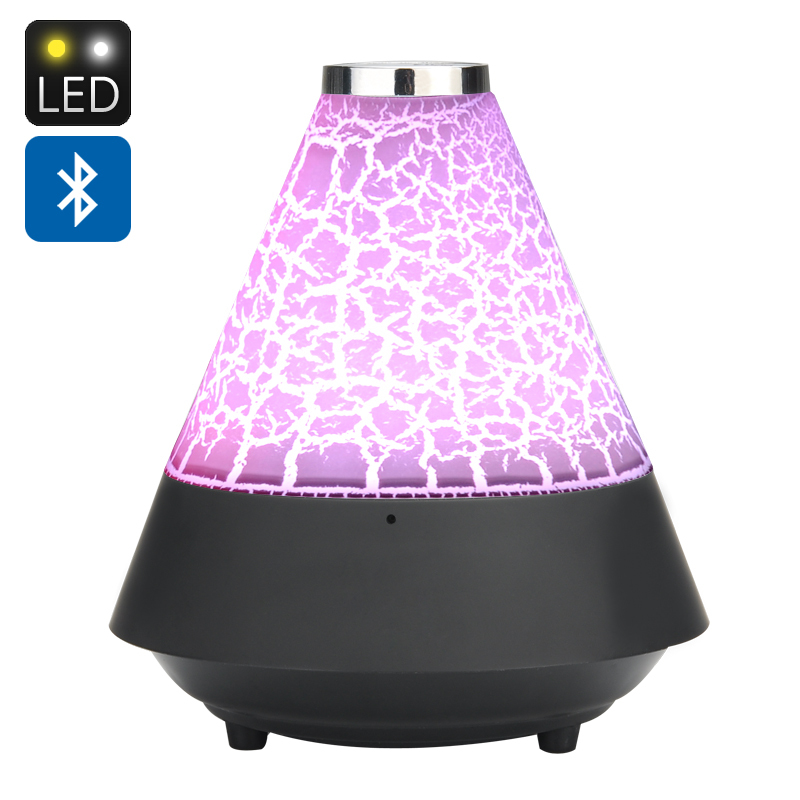 Brought to you by the leader in electronic devices as well as wholesale Bluetooth speakers.. Compatible with all Bluetooth enabled device, iOS, Android, PC, iPad ect.